How Messrs. Albert Einstein and David Birnbaum fended-off reactionary European academia Conceptual revolutions are often brutal; succeeding generations are gifted the new theory, but the progenitor of the new theory oftentimes faced significant personal and professional hostility initially launching the new theory. Here's a historical instance which establishment academe would just as soon forget. 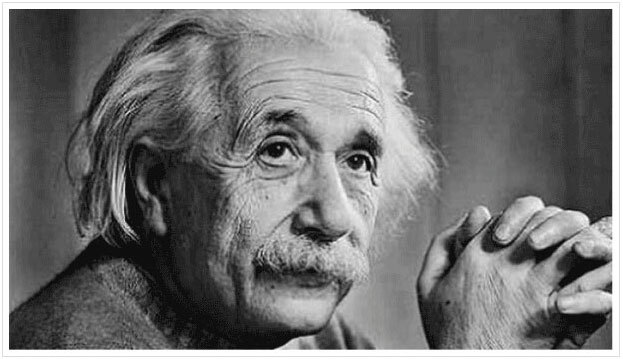 When Einstein won the Nobel Prize in Physics in 1921, his Theory of Relativity was deliberately omitted from the prize citation; other components of his work were cited; some members of the Nobel Prize committee objected to publicly connecting the new theory with the historic prize. Despite his groundbreaking work on Relativity, Einstein was actually often ridiculed by a segment of European academia that simply wasn't ready or smart enough to listen to him; and this segment was certainly not willing to accept his shaking the scientific foundations of the entire field of physics. How bad was the reaction at the time? In 1931, an entire book A Hundred Authors Against Einstein was released. In it, for instance, one author Hans Reichenbach described Einstein's work as naive and “unintentionally funny.” The hundred authors simply could not accept the new physics world which Einstein’s physics had revealed. The authors calculated, however erringly, that they were more likely to advance in the academic pantheon by ridiculing Einstein, than by getting on-board with the new physics. However, physics is a science. So, regardless of our opinions, physics inevitably moves on truthfully whether we like it or not. It may unfold haltingly, even generations later, but eventually it unfolds. So, despite push-back, eventually Relativity did win out – because it was correct. Such has been the current case with David Birnbaum’s Theory of Potential. Birnbaum, an independent scholar and metaphysicist, stepped forward to illuminate an equally – and possibly even greater – game-changing thunderbolt of science/metaphysics – the cosmological theory of Potentialism; once again, ahead of the curve; once again, an extraordinary theory facing a virulent rear-guard push-back from a small but vocal segment of European academia. Birnbaum comes to us as a visionary with his Quest for Potential Theory. His proposition – ensconced in his iconic treatise about the universe – is something at once compelling and incisively explanatory; as per Einstein, Birnbaum’s work is contrary to politically-correct, intellectually fuzzy European academic-scientific thought. And therein lies the real issue. To the European academic hierarchy and their hard-line Atheist support group, the universe is random and absent any overarching drive; to the Randomness/Atheists, everything we know exists by random chance happenstance; that ‘everything’ would include among other matters – the Big Bang, the galaxies, supernovas and solar systems; that ‘everything’ would include the 100+ Elements, photosynthesis, life, consciousness, humanity, love et al. Meaning that ‘everything’ is, according to the Randomness/Atheist group, merely a matter of random luck and chance. Birnbaum, taking an almost polar opposite view, sees the totality of the universe as anything but random; to Birnbaum, chance, however important part it plays, is ultimately an ancillary show to the universe; it is not the ‘main event.’ Per Birnbaum, the universe unerringly – from time immemorial – inexorably seeks after its maximal potential. This overarching drive towards maximal potential – Infinite Quest for Potential - permeates the entire Cosmic Order. And, crucially, this drive is natural, not supernatural. And that is the very core root of the conflict. European academics had preached for well over a hundred years, that the only alternative to their Randomness/Atheism was a supernatural Creationist God. But Birnbaum has demonstrated that the alternative to the dubious zealot Randomness/Atheist view of a chaotic universe doomed to decay, is not necessarily the supernatural. Rather, the clear alternative is a universe governed by a natural dynamic – Birnbaum’s hypothesized Infinite Quest for Potential. Per the theory, this core cosmic dynamic may or may not have evolved into God per se. The core theory works independent of possible Creationist God. Thus, the core Randomness/Atheist debating tactic – either our ‘natural universe of disorder/chaos’ or your ‘supernatural Creationist universe of order’ – is fatally undermined by Birnbaum’s ‘Quest for Infinite Potential natural universe of order.’ Academic science and metaphysics/philosophy had simply missed the core dynamic of the Cosmic Order; it was, after all, ‘hiding in plain sight’ all along (including for the 7,000 years of civilization). As Birnbaum notes “The metaphysicists erringly looked for a classic Protagonist, while the physicists were simply ‘trying too hard’ – too focused on their sub-atomic particles and physics equations; both key groups missed the obvious. See TheoryCore.com. Like Einstein before him, Birnbaum initially faced a small but vocal coterie of reactionary European academic resistance. But, like his predecessor, Birnbaum has remained steadfast and has proven unstoppable. Birnbaum’s theory is expounded via his three-part treatise – Summa Metaphysica. Like Einstein before him, Birnbaum has been the subject, as well, of gratuitous and virulent ad homenim European-based attacks – disinformation included – from narrow corners of academe. But despite this, Birnbaum has steadfastly maintained his course in the name of academia and truth. Metaphysicists stand in a particularly demanding place where they are required to have expertise in a myriad of fields – philosophy, physics, math, astrophysics, biology – as well as cognitive function and emotion. So, it is of little surprise that Birnbaum himself is not shocked by the fear and inertia of segments of the European academic community. As well, that same establishment is heavily-invested in the old theory. So, does this reactionary push-back affect the truth in any way? It can certainly slow down the advance of truth – sometimes very significantly; typically, however, virulence aimed at a correct theory cannot stop it – if at least some traction is achieved by the new theory at the get-go. Europe was the cradle of the Renaissance; unfortunately it intermittently shows severe resistance to new truth when that truth doesn’t comport to the status quo. Such is the case with Potentialism. But, like Einstein before him, Birnbaum has committed himself to the long haul; and he remains resolute. Indeed, in response to the gratuitous attacks, both Einstein and Birnbaum upped-the-ante by generating additional academic work enhancing their respective theories. Eventually, the carping crowd was exposed for being on the wrong side of history. Academics who have spent their lives defending the past theories of such cosmologies as Randomness, will likely never be won over. They simply have too much invested in these failed theories – whether through their books, articles, seminars or awards – to accept a new truth when it arrives on their doorstep; and certainly not a revolutionary newly-discerned truth. As legendary physicist Max Planck noted – veteran physicists do not yield to new truths so readily; they simply have too much invested in the status quo. In the case of Randomness Theory there another twist – as these academics are aided & abetted in the media by non-academic (religious zealot) Atheism believers. The 1962 classic The Structure of Scientific Revolutions by Thomas Kuhn (University of Chicago Press) analyzes the oftentimes almost intractable resistance by existing science to new science. In the case of Birnbaum, he proposes not only new science, but a complete and revolutionary new metaphysics – fully wrapping-around exiting science. It is virtually a ‘10’ on the academic Richter Scale, an ultimate earthquake in scientific/academic thought. Indeed, to the extent that Summa Metaphysica’s Theory of Potential is disseminated, the world will simply no longer be the same. Birnbaum will remain unfazed by European inflexibility though. Indeed, a vanguard of elite American scientists and thought leaders have recently emerged, whose recent works dovetail with the Birnbaum metaphysics (see section titled ‘Dovetailing” below). Taking notes from his predecessor in the General Relativity field, Birnbaum remains true to his theory; he is unbowed and unapologetic. Such is the foundation of all modern science. Europe may posture as the heart of academia and scientific thought, but for over a hundred years, it has de facto calcified debate over cosmology. Fortunately, Birnbaum, like Einstein before him, understands this, and stands steadfast and defiant. Over fifty thousand volumes of Summa I, II or II are in circulation. Birnbaum draws his core support from elite American academe: Harvard, Yale, and NYU. He is at the cutting-edge of Renaissance II, spearheaded by confident and cutting-edge American Thought Leaders. See The Closing of the Scientific Mind by Gelernter of Yale, Commentary Magazine, January 2014. See SelectedRelated.com for the Gelernter piece plus related articles. All counter-attack against the nihilistic (and academically abusive) Randomness/Atheistic crew. Via his revolutionary true theory of everything (see TTOE1000.com ), Birnbaum has instigated a global paradigm challenge (see ParadigmChallenge.com). Literally all fields of study are impacted. David Birnbaum himself is known globally, as well, as the author or the editor-in-chief of several important series on history and spirituality. His New Paradigm Matrix platform has over 180 Thought Leaders from around the globe under its aegis.